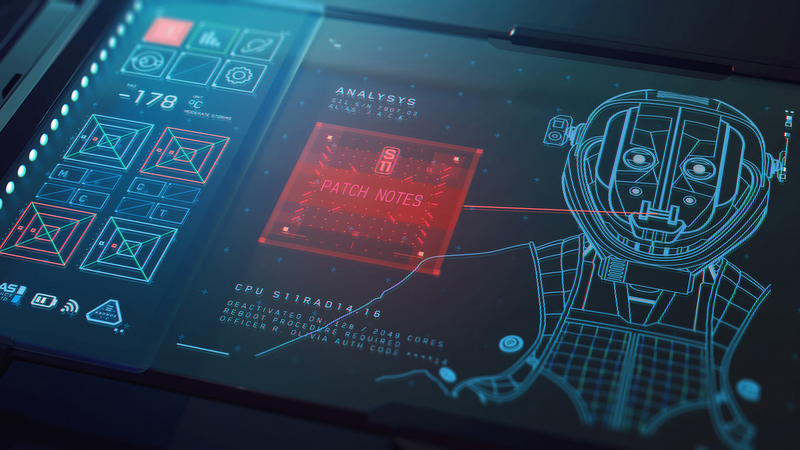 Patch 19.0 brings balance updates, features, and bug fixes to Echo VR. Player’s body type in the Lobby is no longer changed by what game mode they most recently played. Players who complete the tutorial are now returned to the main menu instead of directly into a Lobby. New players are now presented with the EULA only when selecting “Play” on the Main Menu after Tutorials have been completed at least once. New ‘Legal’ section added to Main Menu to allow viewing of EULA and other legal information. All target dummies within the Lobby are now capable of being grabbed. Rejoice Nova players! Players who have been banned/suspended from Echo VR will be taken to a disabled Main Menu with a message about their suspension. This should help players determine whether they are unable to login due to a technical issue or if they’ve been suspended due to Code of Conduct violations. When using the “Push to Talk” or “Push to Mute” VO options a HUD icon of a microphone will now be displayed when that setting is being used. Threat Scanner audio now indicates where the scan originated from. Players’ nameplates and the Payload icon will now rotate with the player’s head movement. Execute the perfect escape with the Phase Shift! Phase Shift can now be cancelled by activating the Tac Mod again. The 10% increase in speed is now applied immediately on activation instead of being applied on the next boost. Healing effects can now be received from other players while Phase Shift is active. Dev Note: Phase Shift is a unique ability that was intended to be used as an escape tool and as a method of distraction against the opposing team. In order to reinforce those goals, we’ve given the user greater control of how they choose to use Phase Shift. After activating the ability, 1 second later it can now be canceled. This creates a variety of options for players who escape, but want to engage as soon as they’re in the clear. By also increasing the duration to 10 seconds, it provides greater opportunity to bait, punish, and remove any threats from a big battle who decide to chase you down. Along with these new changes, we’ve added some quality of life improvements that should clarify its interactions. There were a few issues with Phase Shift that required too many actions to take advantage of the speed increase, so we’ve made it apply on activation. This should smooth out the process of escaping a threat. We’ve also noticed some issues where players were using healing actions on Phase Shifted players and getting no result out of it. This should lead to more clear interactions and remove the frustration of “wasted” Tac-Mods and Ordnances. In our ongoing efforts to improve matchmaking, we have changed the way how “smurf” accounts search for a match. Smurf accounts will no longer be treated as a new account, but instead, use matchmaking parameters from their main account.